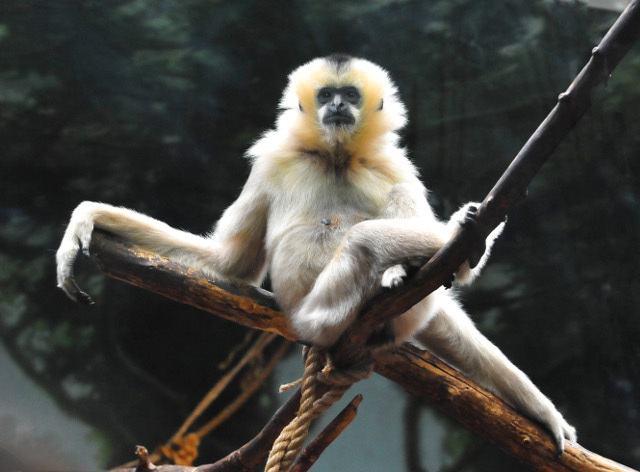 The gibbon, the last ape to have its genome sequenced, tolerates a surprising number of chromosome rearrangements. The sequence, published today (September 10) in Nature, reveals that gibbon genes involved in chromosome segregation are rich in repetitive sequences called LAVA elements. Such chromosome shifts are known to cause cancer or birth defects in humans, making the gibbon genome a valuable resource for further study. The gibbon genome provides insights into the evolutionary history of this most diverse group of apes. The researchers sequenced eight of the 12 or more species of gibbons. Their analyses suggest that the four genera of gibbons diverged nearly simultaneously about 4 million years ago. This diversification likely coincided with rising sea levels and changes in tropical forest habitats, which may have led to the isolation and subsequent speciation of different groups. Coffee is the latest essential crop to have its genome sequenced. The draft assembly, published last week (September 5) in Science, provides insights into genes that give the plant’s seeds their distinctive flavors and caffeine content. 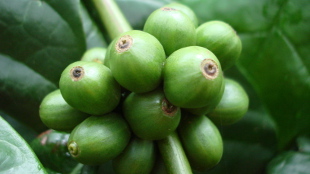 Scientists prioritized Coffea canephora for sequencing over the more widely grown C. arabica, which has a more complicated genome, as it originated from the hybridization of C. canephora with C. eugenioides. Indeed, the researchers found an abundance of genes encoding N-methyltransferases (NMTs), enzymes critical for the synthesis of caffeine. Coffee’s NMT genes are more similar to other coffee genes than to the NMTs of tea and cacao, suggesting that caffeine production evolved independently in the three lineages. The team also identified pathogen-defense genes that could aid efforts to develop plants resistant to coffee leaf rust, a significant problem in Central America in recent years. 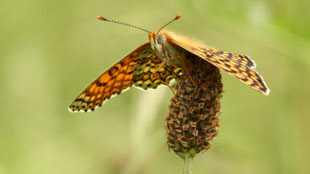 The Glanville fritillary, an orange and black “checkerspot” butterfly native to Europe and temperate Asia, joins the silkmoth Bombyx mori and the Postman butterfly Heliconius melpomene as the third sequenced species in the order Lepidoptera. The fritillary has 31 chromosomes; sequencing its genome enabled scientists to confirm this as the ancestral lepidopteran chromosome number. The work was published last week (September 5) in Nature Communications. The M. cinxia genome sequence allowed Frilander and his colleagues to reconstruct the probable chromosome fusions that created the 28 and 21 chromosomes in B. mori and H. melpomene, respectively. The fusions may be a result of lepidopterans’ unstable holocentric chromosomes, which attach to spindle microtubules along their full length during cell division, as opposed to monocentric chromosomes that connect only at their centromeres. 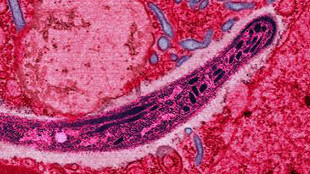 The parasite that causes most human malaria, Plasmodium falciparum, evolved from species that infect African great apes. Now, the first full genome sequence of an ape-pathogenic malarial species points to subtle variations that may determine host specificity. The P. reichenowi sequence was published this week (September 9) in Nature Communications. Although the human and chimpanzee pathogens share a similar set of around 5,500 genes, researchers found differences in genes that allow the parasites to overrun red blood cells and evade the host immune system. However, the copy numbers and arrangements of these genes are largely preserved between the two species. A strain of enterohemorrhagic E. coli known for causing outbreaks of food poisoning associated with ground beef has now been fully sequenced. The work, published last month (August 14) in Genome Announcements, closes gaps and clears up ambiguous base calls in the sequence originally published in 2001. The genome of EDL933 is replete with prophages—integrated segments of bacteriophage genomes. 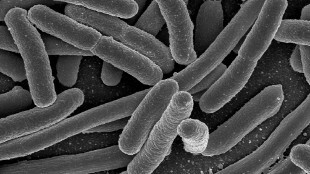 These sequences are highly repetitive and unstable, allowing the bacteria to nimbly gain new virulence traits or antibiotic resistance, but making the genome devilishly difficult to fully sequence. Today’s single-molecule sequencing technology, however, enabled the researchers to close gaps in the genome of EDL933 due to such repetitive sequences; high-coverage short reads finished the job. The EDL933 strain was first isolated from hamburger meat linked to food poisoning cases in Michigan in 1982, but is best known for causing a 1993 outbreak at Jack-in-the-Box restaurants in the western U.S.